Securing borders present law enforcement, customs enforcement and immigration enforcement with a unique set of challenges. These three enforcement units are tasked with ensuring the safety of the homeland from human and drug trafficking, illegal immigration, terrorist activity and more. All while ensuring legitimate travel and commerce are not unreasonably delayed. 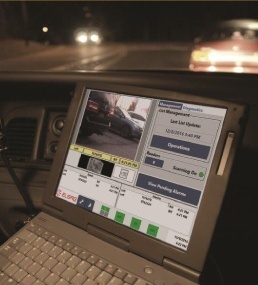 Securing international and regional borders requires advanced technology like Leonardo's ELSAG ALPR solutions to accurately, efficiently and effectively identify threats, capture criminals and terrorist suspects, prevent illegal contraband from entering the country or region under extreme weather and a variety of other conditions like light; type and placement of the license plate; and type of vehicle. Again, weather, while facilitating legal trade and travel. Leonardo's ELSAG ALPR Solutions have been developed specifically for mission critical operations that law enforcement and homeland security agencies face. End user feedback is paramount to the continued development of both hardware and software offerings. Our mission is your mission! From sales, to installation, to training to 24/7 service and support, the ELSAG team is poised to make your ALPR program effective and efficient. Quickly scan license plates against a variety of databases on vehicles entering or exiting the border. Provide audible alerts to officers at the border and/or remote officers at a command center. Keep the flow of traffic moving at border crossing sites through automated processes that reduce wait times. Uses high-preforming OCR (optical character recognition) and infrared illumination to accurately read plates in any light and weather conditions. Ability to calculate speed of vehicles and travel times. Solutions for remote border security. Not all illegal activity crossing the border happens at the border. A variety of options are available to conduct border security miles away from the physical border. Data management tools in the ELSAG EOC provide advanced analytics on the flow of traffic across the border. Our fixed and mobile ALPR systems are designed to be scalable and capable of capturing millions of records based on your internal server capabilities. Data is instantly available for analysis, so operators know if it's a routine traffic infraction or something more serious. Our ALPR solutions ensure the information you collect is accurate, won't infringe on an individual's right to privacy and that the data is retained in accordance with your policies. 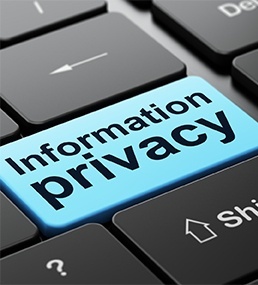 At ELSAG, we are fully committed to operating within regulations established by state and local jurisdictions on an individual's right to privacy. We do not gather data privately, sell access to it or retain it for longer than allowed. We research who we’re selling our systems to, ensuring our customers have a legitimate use for the data. There is no way to shade the information with personal opinion because it’s purely agnostic data.